Medical nutrition therapy helps individuals with nutrition-related health issues including cardiovascular disease, diabetes, hypertension, obesity, food allergies, eating disorders, and unintended weight loss from various causes. 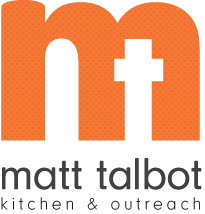 One-on-one therapy sessions are conducted by Matt Talbot's Nutrition Coordinator who is a registered dietitian and a licensed medical nutrition therapist. Contact Janet at 402-477-4116 or janet.buck@mtko.org for more information.